NEW YORK — A megachurch minister recently told his congregation that he thinks it’s “insanity” to believe that men will go to Hell for rejecting Christ, and claimed that it is “not even what Jesus believes.” His comments have been met with outcry as blasphemy and false teaching from many who have viewed an online video clip of his remarks. 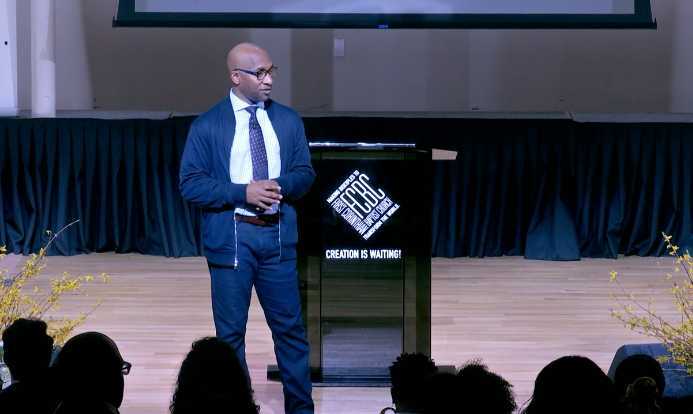 Michael Walrond, Jr. leads First Corinthian Baptist Church in Harlem, an assembly that has expanded from 350 members to 10,000 members within the past 14 years, according to its website. “We are an ever evolving community of visionaries, dreamers, and doers who have been called by God to live the lives we were created to live; commanded by God to love beyond the limits of our prejudices and commissioned by God to serve,” First Corinthian’s purpose statement reads. Walrond asked those present during the Feb. 25 service to read the statement aloud, which he characterized as being comprised of “transcendent words,” that is, applicable to all belief systems and not one specific religion. He elaborated further, stating that he is not a person who believes that those who reject Jesus will go to Hell. He claimed that the “key” is to simply believe in God. Walrond, who had been named “One of the Lord’s Foot Soldiers” by Newsweek Magazine, suggested that if men cannot be united regardless of religion, there is a problem with man’s understanding of God. A video of Walrond’s comments was shared to social media by Kevin Davis, the minister of music at Friendship Baptist Church in The Colony, Texas, generating 75,000 views and numerous comments, both for and against Walrond. “Jesus said ‘I am the way,’ not one of the ways. As a pastor you personally are going to give an account for leading your flock the wrong way,” another stated. “So, exactly why did Jesus go through the excruciating death of the cross? Why did God even set a people apart? Why was it necessary to slaughter lambs, goats and doves as a sacrifice for sin? Why bother with Christianity at all? You, sir, will answer for this blasphemy,” a third remarked. “Pastor needs Jesus … deceived and deceiving. But the saddest part is the ‘amen corner’ agreeing with the hogwash coming from the pulpit,” one also lamented. Watch the video clip here, and view Walrond’s remarks in context here.